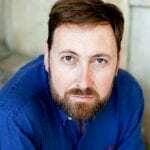 Matthew Rose sings Raimondo and Stephen Costello sings Edgardo in performances of ‘Lucia di Lammermoor’ at the Royal Opera House, Covent Garden on 11, 14, 16 and 19 May. Later this summer, Matthew will go on to sing Marke in English National Opera’s forthcoming production of ‘Tristan und Isolde’, and he will end the season giving his acclaimed performance as Bottom in ‘A Midsummer Night’s Dream’ for Glyndebourne Festival Opera. Following Lucia at Covent Garden, Stephen travels to Russia for gala performances at Mikhailovsky Castle, St Petersburg and at the Bolshoi Theatre, Moscow, before returning to the Wiener Staatsoper as Nemorino in Donizetti’s ‘L’elisir d’amore‘. He will then make his Santa Fe Opera debut in the title role of Gounod’s ‘Roméo et Juliette‘, and will begin the 16/17 season as Alfredo ‘La Traviata‘ at the Bayerische Staatsoper Munich. More information and tickets can be found on the Royal Opera House website.